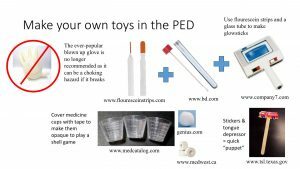 The Coach at PEMPlaybook.org has a great podcast on using the VBG in situations where we used to try to get an ABG (which was never fun to do in small children). From the podcast: the rule of 4’s: (note ABG values are always higher): VBG pH is 0.04 lower than ABG pH VBG pCO2 is 4 lower than ABG pCO2 VBG pO2 is approximately 40 lower than ABG pO2 The bottom line is that for most of our clinical concerns, we can use VBG to assess pH and pCO2, and O2 sat to assess oxygenation. VBG may be less reliable in shocky or hypercapneic patients (but end-tidal CO2 will be useful in hypercapneic patients). When do we really need an ABG? When we want to calculate the Aa gradient, looking for e.g. VQ mismatch, shunt, or a diffusion problem. Position yourself: keep your back straight, your left elbow in, and lift (don't crank). If you're having difficulty summoning enough muscle, try straightening your left arm at the elbow to make use of your stronger upper arm muscles, rather than just your forearm. It is commonly taught that a patient’s palmar hand represents approximately 1% of his/her body surface area (BSA), a useful tool when estimating the BSA of burns. But does one use the palm including or excluding the fingers? Adult studies support that the palmar hand including fingers actually represents about 0.8% BSA. Despite this widespread teaching, there are surprisingly few pediatric studies. Pediatric studies support the palmar hand without fingers to = 0.5% BSA, and with fingers close to 1% BSA. What is considered pediatric for using this estimation method? One original study included children to age 13 years, and another to age 17 years; puberty may be a useful cutoff age. How well the palm estimates BSA may also vary by gender, race, and degree of obesity. Ref: Thom D, Burns 2017 Feb; 43(1):127-136. There are several techniques for removing a ring that is stuck on a patient’s finger, starting with the simplest – using ring cutters to cut it off. However, if the patient doesn’t want the ring destroyed, the string technique has been advocated, where a string is wrapped around the finger to compress the edema, then passed under the ring and unwound for removal. An oxygen mask strap works well for this purpose because of its elasticity and flatness; check out this AliEM trick of the trade post https://www.aliem.com/2012/08/trick-of-trade-ring-removal-using/. Also, this site provides a nice overview of the numerous methods https://aneskey.com/ring-removal/. Remember that tungsten and ceramic rings are usually hard to cut, but easy to break using vice or locking pliers. Hyperemesis due to cannabis use is on the rise, particularly in areas with marijuana legalization. While classically it is seen in chronic, daily users, affected patients sometimes have been using cannabis for less than a year, and may be using it as infrequently as once a week. Patients present with bouts of severe nausea, vomiting, and abdominal pain. A classic symptom is relief with hot showers (due to activation of the TRPV1 receptors). Symptom relief in the ED involves fluid rehydration and ondansetron (although this often no longer works for the patient after multiple bouts). There are also many reports of successful resolution of acute symptoms with benzodiazepines, haloperidol, and topical capsaicin. Curative treatment involves convincing the patient to stop cannabis use. Therein lies the tip, which I just learned from a colleague – a good way to help the patient understand is to tell them they suffer from an “allergy” to marijuana– while some people may be able to use marijuana chronically, they cannot, as it will cause these symptoms. Cessation of cannabis use can result in symptom relief as soon as 12-24 hours but sometimes not for as long as 3 weeks. So let them know how long that “allergic reaction” can continue! Disclosure: I have no ties whatsoever to GoodRx When prescribing a medication to a patient who may need to pay out of pocket, use the GoodRx app or website to compare the prices at local pharmacies nearby, and sometimes, to find coupons that patients can use. This article explains how GoodRx makes money and why it exists. Staying with the topic of urine... investigators at University of Pittsburgh have derived and validated a UTI risk calculator for patients aged 2-23 months. The calculator (UTICalc) is linked from the On Shift page of PEMsource under the heading Neonatal / Infant, and can be found at https://uticalc.pitt.edu/ The study by Shaikh et al was published online on April 16, 2018 at JAMA pediatrics here. Some highlights: derived on consecutive 2-23mo old febrile patients evaluated in ED for UTI, 542 with UTI and 1144 matched controls without UTI. Validated on a dataset of 380 patients, 30 with UTI. Investigators estimate sensitivity of UTICalc at 95-100% and state that use of the calculator results in approximately 10 patients tested for every 1 UTI found; UTICalc outperformed the current AAP algorithm in both of these outcomes. Users can also enter urinalysis dip, micro, and gram stain results to obtain post-test probabilities. Investigators suggest testing when pre-test probability is 2% or higher, and treating when post-test probability is 5% or higher. Further validation is warranted, but UTICalc may be useful in shared decision making with parents to give a ballpark risk estimate. Nothing slows down the ED flow like waiting for the urine flow of an infant or toddler. Whether or not to screen for UTI with a clean catch urine vs obtain a catheterized specimen will be left for another discussion, but here are some of the latest techniques described for obtaining clean catch specimens. (For all, clean genital area thoroughly first) "CCU" procedure, first described by Herreros Fernandez et al, Arch Dis Child 2013;98:27, 80 infants aged < 30 days. Patient held under armpits with legs dangling in upright position. Suprapubic area gently tapped at 100 taps/minute x 30 seconds, followed by light circular massage of the lower back x 30 seconds. Repeat these maneuvers until urine collected. Successful in 86% of the infants with median time to collection 45 seconds. Labrosse et al, Pediatrics 2016;138(3):320160573 studied this CCU method with the addition of another person flexing the hips of female children, 126 infants < 6 months old. CCU method successful in providing urine sample within 300 seconds in 49%, median time 45 seconds. More successful in < 3 months old than 3-6 months old. 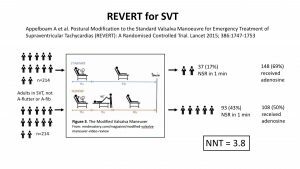 "Quick-Wee" method, Kaufman et al, BMJ 2017;357:j1341, 354 infants aged 1-12mos With patient supine, suprapubic skin was rubbed with gauze soaked in cold saline. 31% voided within 5 minutes using Quick-Wee vs. 12% in the standard collection group. 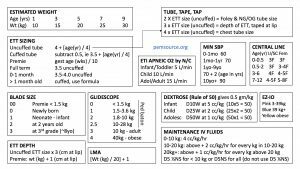 Finally, Naimer in Pediatr Emerg Care 2017;33:446 describes cutting a slit in an infant's diaper to push the urine collection bag through when obtaining a bag urine. This both helps to secure the bag and allows parents and nurses to see when the specimen has been obtained. A quick rule of thumb for estimating whether the QTc is normal is to look for it to be half the preceding RR interval (see figure below from ECG Interpretation). However, note that this rule of thumb is not accurate at heart rates < 62 bpm. Also, it is conservative at heart rates > 66 bpm. An excellent thorough explanation can be found at Dr. Smith's ECG blog here. For heart rates < 62 bpm, Dr. Smith suggests using QT < 40% of the preceding RR as rule of thumb. Also, be careful - computer calculated QTc are often incorrect - may need to get those calipers out! (or just count little boxes - each one is 0.04 sec, or 40msec). 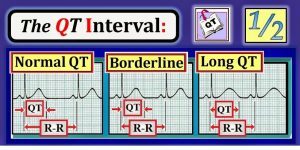 The most common formula used to correct QT is the Bazett formula QTc = QT / sqrt(RR), although this formula produces false positives at high heart rates. Here is a calculator at MedCalc that will do the math for you! 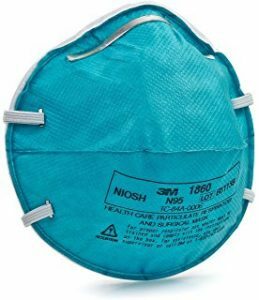 Having trouble with bag valve mask ventilation? Don't forget to use adjunctive airways - nasopharyngeal for conscious patients, oropharyngeal for unconscious. Reuben Strayer's great video here advocates placing 2 nasal airways and an oral airway, then bagging over those, for the difficult to bag patient. 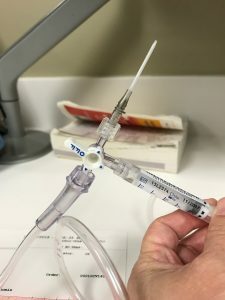 You can also place an ETT adaptor (pull the adaptor off the tube) into a nasal airway and bag the nasal airway directly - see more information here. 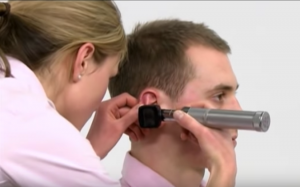 Don't forget, nasal airways are measured from the nostril to the tragus of the ear, and oral airways are measured from the center of the mouth to the angle of the jaw. The SAMPLE mnemonic is typically used to remember the important brief history needed for trauma patients: Symptoms, Allergies, Meds, Past medical history, Last meal, and Events leading up to the trauma. Think of the mnemonic as SAMPLE-PT and add in Pregnancy (history, testing) and Tetanus status. Also, ABCDE is used to recall Airway, Breathing, Circulation, Disability, Exposure in managing trauma patients. 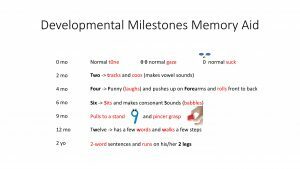 Keep going in the alphabet and add on FAST, Gastric tube (NG or OG) and Glucose check, Hemoglobins (serial), IV (two large-bore). Having trouble finding the ICD-10 code in your electronic medical record? Do a Google search "ICD 10" + whatever diagnosis you're looking for. For example, searching "ICD 10 parent concern" turns up "Z 71.1 Person with feared complaint in whom no diagnosis is made." Here's another useful one "R 68.11 Excessive crying of infant (baby)." Hope everyone has a Happy Thanksgiving, and no one feels the need to use "Z 63.1 Problems in relationships with in-laws." For minor procedures in the PED, analgesia, anxiolysis, and distraction are the most important therapies to promote cooperation and procedural success. See our algorithm for procedural pain here. But sometimes, even with all of those, physical restraint is needed. 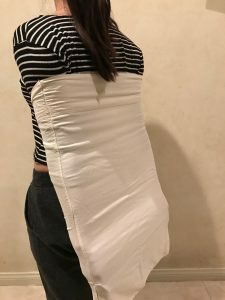 Most PEM practitioners know how to wrap a child up using a simple bedsheet folded lengthwise twice, and then wrapped over one arm, behind the back, and over the other arm, and then around the child as seen here. Another technique if you have a pillowcase is to put both arms behind the child into a pillowcase and then lay the child down onto the pillowcase, thus restraining the arms (see picture below). (This technique was published under the colorful name "Superhero Cape Burrito" here). Finally, a c-collar can be useful to immobilize the head for face and scalp laceration repairs. 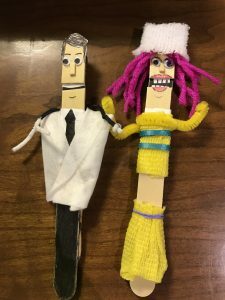 Tongue Depressor Puppets & More! 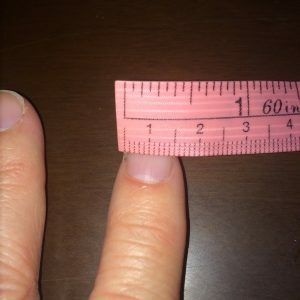 Measure your fingernails to see which is closest to 1cm - now you will always have a 1cm "ruler" with which to measure lesions, lacerations, discolorations, etc. 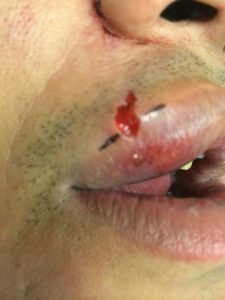 For a forhead laceration, place gauze over patient's eye and hairline, cut a hole in center of a large tegaderm, peel and stick with the laceration positioned in the middle of the hole. 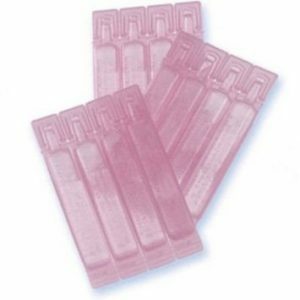 Now you can use tissue adhesive to close the laceration without worrying about the adhesive running into the patient's eye, hair, or down the face.